"The security threat level in Yemen is extremely high," the State Department announced in a travel advisory on Tuesday, while repeating guidance that all U.S. citizens should leave the country. Britain suspended operations at its embassy in Sanaa indefinitely and has withdrawn its staff. The Yemeni government also acknowledged the threat, issuing a list of the 25 most dangerous terrorists in the country and promising a reward for information leading to the capture of any of them. It has also bolstered security throughout the capital. Over the past 13 years, al Qaeda has seen Yemen as one of its most promising hunting grounds – beginning with the attack on the USS Cole in the port of Aden in 2000. In the middle of Ramadan in September 2008, Wuhayshi orchestrated a complex attack on the U.S. embassy in Sanaa – one of the most heavily fortified diplomatic missions in the world. Although the attackers did not breach the perimeter, at least six Yemeni guards and four civilians were killed in an assault that involved suicide bombers driving vehicles packed with explosives, snipers and rocket propelled grenades. More recently, AQAP was responsible for the attempted "underwear bombing" that targeted a U.S. airliner over Detroit and the successful dispatch of printer bombs as air cargo destined for the United States. Only a Saudi intelligence tip at the last moment led to the discovery of those explosives. Another plot was thwarted last year because the intended suicide bomber was a Saudi informant. Last September 11, three or four Yemeni AQAP operatives participated in the attack on the U.S. diplomatic mission in Benghazi, several counter-terrorism sources have told CNN. Western intelligence officials suspect they were dispatched by the group to take part, but have not ruled out that they were already in eastern Libya and decided to join in. The Yemeni security forces, extensively reorganized by President Abed Rabbo Mansour Hadi over the past 18 months, have been able to recapture territory in southern Yemen that was briefly held by al Qaeda, forcing AQAP fighters - who are known in Yemen as Ansar al Sharia – to retreat into more mountainous provinces such as Hadramaut in the southeast. Extensive U.S. drone attacks over the past two years – some launched from a new desert base in southern Saudi Arabia – have also whittled away al Qaeda's infrastructure in Yemen. The New America Foundation estimated last month that some 30 senior operatives have been killed, and there has been a spate of further attacks since. Agence France Presse and other agencies reported Tuesday the latest drone attack in eastern Marib province killed four militants, including one of those on the latest list issued by the Yemeni government, Saleh al-Tays al-Waeli. AQAP confirmed last month that its deputy leader, Said al-Shihri, had been killed. Last year, a drone killed Fahd Mohammed Ahmed Quso, an al Qaeda operative believed to have plotted the bombing of the U.S. destroyer Cole in 2000 that killed 17 American sailors. And the militant U.S. born cleric, Anwar al Awlaki, was among several killed in a drone attack in Jawf province in September 2011. But the drone campaign has also provoked considerable resentment among Yemen's tribes – especially as several have claimed civilian lives. In some provinces of Yemen, al Qaeda fighters are tolerated as no worse an evil than the Yemeni security forces and because they pose no local threat. The group's takeover of swaths of territory in southern Yemen in 2011 was initially welcomed by some of local population. In areas where it was strong, Ansar al Sharia delivered basic services and capitalized on a widespread distrust of the government in the marginalized south. But its imposition of Taliban-style Islamic justice eventually made it unpopular with many. According to Amnesty International, its punishments included summary killings, amputations, and even public crucifixion. Hadi's offensive against the group, extensively supported by U.S. and Saudi intelligence, has taken its toll. Last summer, the group lost control of the last sizable towns it controlled in the south. AQAP has not mounted a large-scale suicide attack on the security forces since May 2012, when more than 100 soldiers were killed by a suicide bomber as they trained for a parade in Sanaa. Also, it appears that the AQAP leadership fears extensive infiltration by Saudi informants. Even so, AQAP has continued to target military officers for assassination throughout the country. The group's recent attacks have included a suicide bombing on a pro-government militia in the south in March that killed 12, and an attempted suicide bombing attack on a gas pumping facility in the port city of Balhaf in June. In July, several soldiers were killed by a bomb in Sana'a after a lull in attacks in the capital. Many of AQAP's operatives, including its leadership, retreated into remote areas after the Yemeni military offensive last year and regrouped. AQAP has another historic advantage: well established networks of sympathizers and safe-houses in Sanaa, and its major port, Aden. Some mosques in the capital are known as recruiting and contact centers. An ambitious attack against Western interests in Sanaa would still seem to be within AQAP's capabilities. To prepare for such an attack, the group conducted video reconnaissance of buildings linked to U.S. personnel in the city in late 2011, according to a source who has seen the video. AQAP remains a resilient organization, bolstered by the addition of hardened Saudi jihadists, some of whom had spent time at Guantanamo Bay. In Ibrahim al-Asiri, a young Saudi with a background in chemistry, it has al Qaeda's most expert bomb-maker. Just how Zawahiri is communicating with Wuhayshi is fascinating. It seems unlikely they would be in touch directly: the security risks are too great. A eulogy for al-Shihri noted he had become careless in making telephone calls. 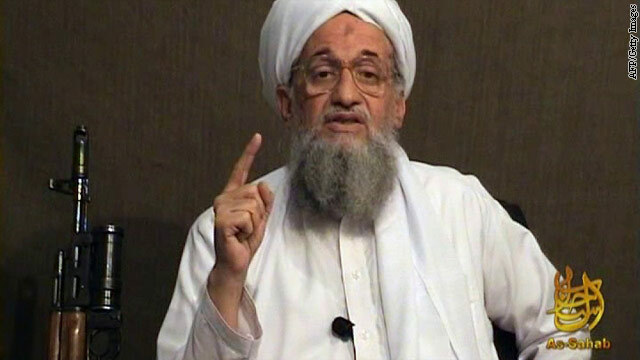 Counter-terrorism experts believe Zawahiri and Wuhayshi may be using flash drives. So Zawahiri would compose a message and save it to a drive. A courier – or series of couriers – would then take it to a place with an Internet connection and send it to a trusted source in Yemen. And Wuhayshi would use the same technique. It is time-consuming and cumbersome, and dependent on trusted couriers. Such a method was used frequently by Osama bin Laden from his hide-out in Abbattobad in Pakistan, as he tried to influence and direct operations around the world. It was also employed by al Awlaki, who spent the last two years of his life moving among Yemen's more remote provinces. For Hadi, who is trying to establish a national dialogue in Yemen and desperately seeking economic assistance after several years of steep economic decline, the current headlines are an unwelcome distraction. But the United States regards Hadi as a solid ally after all the prevarications and nepotism of his predecessor, Ali Abdullah Saleh, and is likely to redouble its efforts in the face of a burgeoning new partnership within al Qaeda. Any you can look our website about helicopter rc http://droneultra.com/home/home/micro-motor-warehouse-dark-edition-coreless-motor-set-8-5x20mm-speed-insane-geared-plugnfly-for-the-latrax-alias-cl-0820-17-11t/. Hi, I log on to your blogs named "What al Qaeda wants to do – CNN Security Clearance – CNN.com Blogs" like every week. god did torturing because potention He made. to human that the capability is small we sometime need to alert, it’s need to alert too to the creator of all potention on life and human, that clearly his ability is more great and this life have much of big sickness, it’s enough reasons to alert and doubt the goodest concept. America supports terrorism outside its borders, while the hit on his hand cruelly within its territory, through the list of very decisive legal case files dealing with: the child, the disabled, women, the elderly, pets. What distinguishes the previous categories is: either doubled toxoplasm, or incomplete awareness, or decay with time, or the inability to express pain or injustice. The child is the 'red line' in civilized countries; makers because they are the future. In Egypt, unfortunately, we find street children is growing day after day, for decades. Brotherhood were found among them seized upon 'mobilized' in the bus, and 'shipped off' to 'fourth, orphans neighborhood shelters who dream holiday clothes; Faqaadohm Bulkipn for clothes and candy bars! Then made of those children as human shields, hiding behind «men, those with beards! Did not reach those 'Muslims' news of the Messenger of Allah, peace and blessings be upon him, when he gets boys in the age of fifteen years asking for jihad for the sake of God, Virgahm of refusing to put them in the battles for modern age? If, God forbid, a child fell, on who will be his blood? I feel sorry as a quote from Muawiya ibn Abi Sufyan, in the battle of 'grades', and I say:' kill them out, and you transgressing category. 'Children', they are the first Brotherhood card. The second kart 'intimidated' Brotherhood and Islamic currents is: 'Sufis ». Burn أضرحتهم, and Ichetnnounam and Ikvrunhm in order to mobilize the people against them. While are Oulu faith who have experienced God truly love him as if they see eye saw. And they are the reason for the introduction of Islam Western countries by drawing a beautiful picture of a compassionate, genuine, for Almighty God, and his people in Islam Zrava and groups, image reverse الشوهاء drawn by terrorists Bdmoathm, portraying «other» West that Islam is a religion of bloodshed and violence. The reason behind it was that group that raises «Seven intersecting» slogan, above Single «prepared», which precedes any Jihad: «And make ready against them all you can of power, including steeds ترهبون the enemy of Allah and your enemy. A verse which derives including Single west «terrorism», Volsqoh milk and Basalamna, although the reasons for the descent of verse, after the Battle of 'Badr', opening invasions that Muslims were retaliating against disbelievers aggressors peaceful. While ينهج the المتصوفون civilized approach preaching a religion of peace and compassion following two dependent Alkarimtin: «Call to the way of thy Lord with wisdom and beautiful preaching and argue with them in the best manner 'and' if you're rude boor heart to shake around. The permanent card in the hands of political Islam is: «Christian Copts of Egypt. I do not know how long resorted المتأسلمون to terrorize Copts whenever they feel powerless to win the sympathy of the people! pain realize after this card has become a danger, and in the non-favor, after that unites us? pain realize after threatening the security of any Christian is a threat to the security of Egypt all, they would find all Egyptians stand against them to protect the Copts of Egypt and defend their rights? when outgrow stupidity and Gluaúhm and Dmoathm? when pay attention we do not divide people: Muslims and Christians, after that unites us – thanks to them – again, we deleted from our vocabulary words « sectarian strife? Check-you wish must have the something of intelligence and let the Christians in their situation after Christians demonstrated in front of the whole world, in dozens of situations and Mahkat, they most of all national and love for Egypt time of adversity. Those are the three cards in the hands of the Muslim Brotherhood now. Combines, including a single thread is: 'peaceful'. And unabashed alone is from يستقوى on 'peaceful', will not contained ideals abuse. Now, the state act immediately to arrest the terrorists, and the protection of children and vulnerable Copts and in the earth. Obama lied to the American people about Al Qaeda. What else is new? What a 'dumb' article! Al Qaeda wants to kill Americans! Pound the crap out of the tribal regions with drones strikes and bunker buster until they give up all al-qaeda and taliban leaders. What ever happened if you are not with us you are against us. Hammer them farther into the stone age. Allah = wimpy god. Using brainwashed goofballs to kill in hopes that we will bow down to him. Good luck with that. That's a really ignorant thing to say about Islam. The number of fundamentalist muslims is so extremely low and to completely put down all Muslims is not okay. Please use discretion and understanding. It will be much to your benefit. According to Obama, el Qaeda is "on the run"---WRONG AGAIN! Does Obama have any idea what he's doing? Apparently not. Really. Another Republi-drone looking for any excuse to bash Obama. Imagine that. He knew how to get Bin Laden! Awesome!! al-Qaeda has destroyed the image of Islam, worldwide. Sooner or later, he is going to get his! How so very nice it would be rob0rah, if George W. Bush and Barack Obama ever got theirs! It's these two bozos who need to be indicted and tried for crimes against humanity! Unfortunately, the judges at the I.C.C. were bought and paid for so that this act of justice will never happen!!! @George,what did Pres.Obama do as a war crime may I ask ! !Bush ,Cheney have indictments from over a 100 countries for war crimes and if Pres.Obama wasn't protecting them they'd be at the ICC trials in the Hague Netherlands where they belong..Now again what crime did this president cause unless you wanting boots on the ground in every foriegn country in wars which he didn't nothings been done has it George! !Forget that witch hunt about Benghazi,Bushs ,Reagan did much worse and nothing was done about them under republicans majorities was it!! Most of you guys on this post are typical western idiots, self righteous twarts...same ppl who said there was WMD in iraq and you went in there and killed, you keep raising red flags to achieve some covert objective, shame on you. there's no stupid attack you guys are talking nonsense as usual!! That's right further your cause anyway possible. Ignorance of the middle east beliefs is their best weapon. Atlast there is a voice of intelligence. Excellent analysis. I suppose they disagree with the DEAR LEADER that: " This WAR must end." I'm at a loss to know what Al-Qaeda wants as far as an objective. From day one they spread terror against their own people primarily except for 9-11 and regional attacks what is it they want?? ?Is it to take down the US entirely??? That is not an attainable objective as they have neither the resources or manpower to defeat the weaponry and technology of the USA, is it to continue harassing us which we can defeat with intelligence and drones or is it a battle of will hoping they can break our will??? If Hitler and Tojo could not break our will during WWII with all their atrocities, Al-Qaeda haven't a chance. WWII was brutality against humanity worse than even the beheading of these terror babies, the axis forces tortured, raped, killed, terrorized their own people, scared them into committing suicide on a scale of thousands willingly jumping to their deaths. I think that these newby terrorists need some lessons to be as brutal as that which we have already faced and destroyed in our past. So when it comes to facing terror in its most brutal form, our nation has experience and the scars to prove it!!! America can only be defeated by ourselves!!! That's because the organisation has no objectives other than those directed by the CIA. It's all just to create tension in the world to justify state control. 3) they will always ..think about killing others..
4) they may kill few or more... based on the day.. I say leave Yemen alone, this country is almost out of water. Look it up , between 5 to 10 yrs . I mean out! this guy would look allot better with a hole between his eyes. we should make drones by the thousands and keep hitting these guys and their friends. If the leaders of Al Qaeda were smart, they'd just sit back and do nothing and let the right-wing thugs in Washington make fools out of themselves! Again, I see all these brainless people on this web page ranting against Ayman al-Zawahiri. The people doing these rants are the by and large, the biggest threat that this country faces, not Al Qaeda!!! The only fool I see here is the one that thinks incompetence rests in only one political party. Irony is your tag, a general who never wanted WWII to end. Thanks for playing "George"
@Chris,if Patton had his way Russia would be talking American today but the big guys in Washington were scared of what might had happened if he did,agree!! Pete I agree whole heartedly, I'm a fan of the guy. I'm just pointing out the irony that whoever it is posting with that name is pretty much a typical ignorant bleeding heart liberal when the real Patton was exactly the opposite. The person posting as "George Patton" as well as that spineless turd Julian Assange would sooner support a terrorist organization that throws battery acid on girls trying to go school before they would their own governments for proactive defense. It's a shame the internet has given these clowns a soapbox to stand on where their idiocy can infect far too many people. @Chris,I'm a democrate, no bleeding heart here but I see your point about Pattons name when one doesnt know the general behind it...And yes ignorence abounds here and when I speak fact about past presidents or incidents I'm called a high school dropout or something worse because their arguments were over before it started...Assange the same ,give that big mouth traitor one to the brain as Snowden and be done with them both,real simple,no heros here!! The truth is folks that al Qaeda's new leader has to prove himself worthy as head of the World's most feared terrorist organization ! I believe that sooner than later his demise will happen.....probably when one of his cohorts, cronies, decides to reap reward benefits and live a better, wealthier life in somewhere like the good ole USA ! All al Qaeda really is....is a bunch of arabs who believe they can old the World at ransom and hostage by the threat and use of deadly violence ! Well the West can play that game too as the drones have proved ! America learns fast as history has proven and they are getting on top of the terrorist games and tact resolve will only increase until ALL terrorism everywhere is CRUSHED ! I bet Al-Qaeda just loves Assange probably on their payroll. I wonder where he is at the moment probably in a rat hole trying to get enough income from Al-Qaeda to pay his legal fees. Could this be a manufactured threat in response to Snowden's revelations? Why publicize this threat, if the outcome is that only embassies are closed? A frightened american public is always happy to be separated from their civil liberties – what little they have left. It keeps the world hopeful that justice will eventually prevail! Have you considered asylum in Afghanistan ? Well said, Julian. Just ignore all these uneducated lemming here who keep on vomiting out their right-wing, anti-intellectual, Tea Party manure! It would be great to see that justice catches up with you. The way this guy writes , you can see it under many names. @common sense,we can do whatever we want worldwide because most countrys like yours wouldn't exist without our foriegn aid would yah..So go back and don't sorry about hunting anyone because if its hunting we'll be the ones doing it don't we! !And believe me I as most Americans aren't scared of some third world country either that can't spell freedom without our help! !Dumb is you thinking the way you do as well!! I would step up efforts to find, locate, and take him out. This man is like a rabid dog and the only thing you can do is take him down. So Al-Qaeda scared the RATS out of their holes? Decadence is relentless with these rodents! Why has SAS not killed you yet? Dont like you, you remind me of rat in a hole. They want to Kill all those who do not bow to the will of Allah.